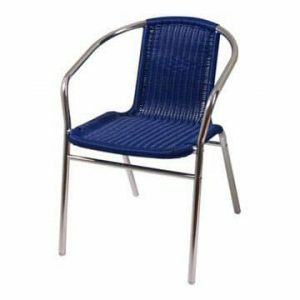 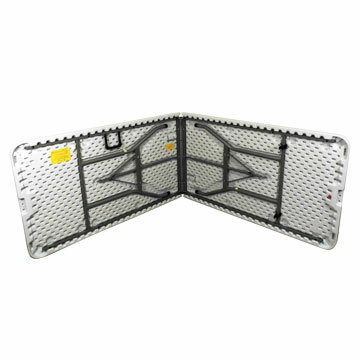 Tough plastic (blow moulded) top – Folding metal legs and folding top. Features a carry handle. 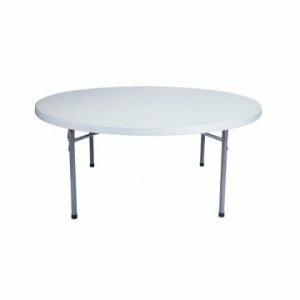 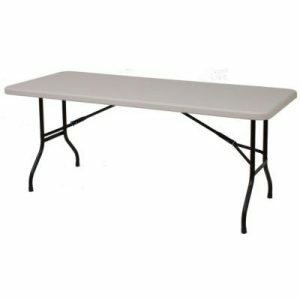 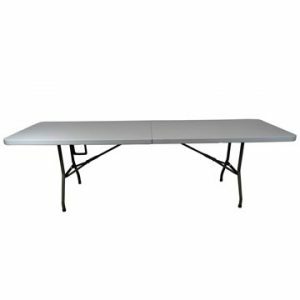 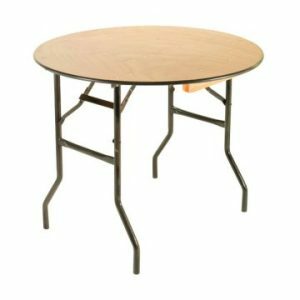 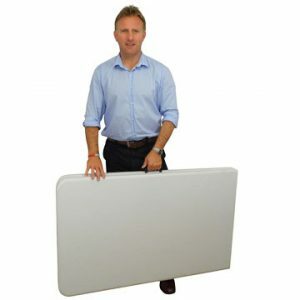 These 8ft x 2ft 6in plastic trestle tables are particularly useful because not only do they fold and stack like their slightly smaller trestle table counterparts but they actually fold in half and feature a handle that makes them very easy to carry which in turn makes them easy to transport and to store away when not in use. 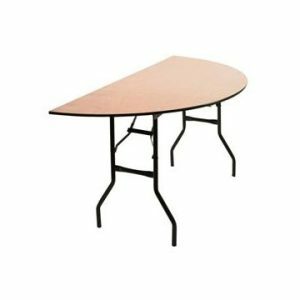 Depending on the size of your venue or event type, the versatility and ease of use of these particular tables makes them very popular. Do you have a mobile trade show, where setting up and packing up quickly makes a real difference to your business? 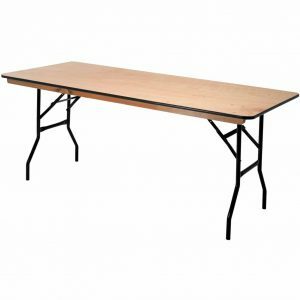 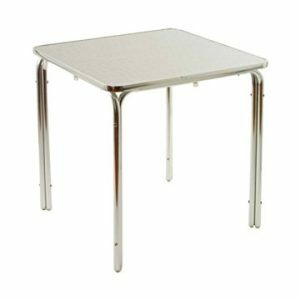 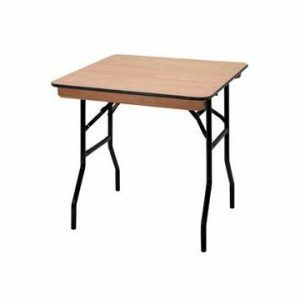 Or perhaps you have a venue with limited space (such as a church hall or community hall) and need to clear the floor space when the function has finished – these folding trestle tables are ideal.